Here, seven whiskey cocktails to help dilate your blood vessels and put you on the path to recovery. 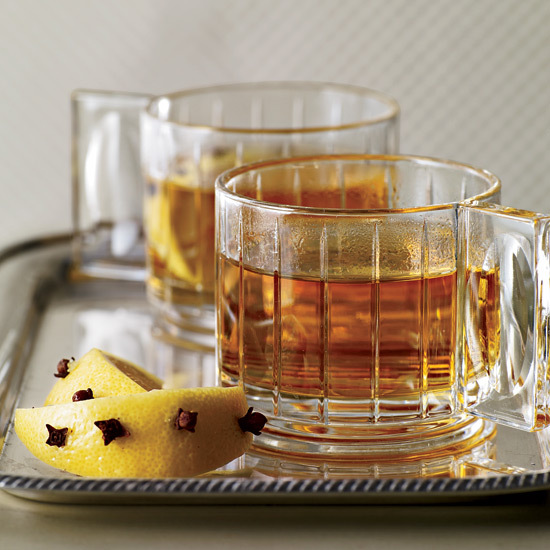 Creamy, homemade chai meets rich bourbon in this warm, boozy nightcap. Young Irish whiskey works best in this hot punch. According to the Irish-born chef Sean Muldoon, Irish people often drink whiskey mixed with ginger, honey and lemon to treat colds. This is a version of that potion. This fantastic cold-weather cocktail gets its wonderful spiced flavor from apple cider, ginger beer and allspice liqueur. Herbal, smoky and strong, this sinus-clearing cocktail is terrific with a smoky Scotch. A teaspoon of orange marmalade gives this drink a bright citrusy flavor and silky texture. Honey and lots of fresh citrus juice make this a great cold-kicking cocktail.